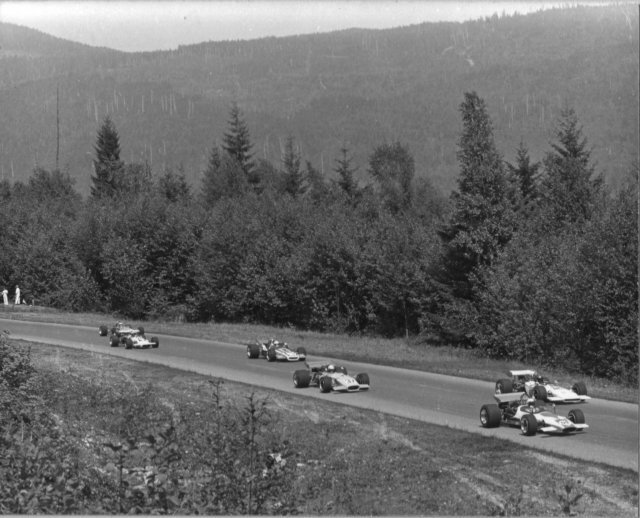 From 1961 to 1968 the Canadian Driving Championship was based on events for sports cars. There was no prize money for being Canadian Driving Champion or as 1968 Canadian Champion Horst Kroll stated, "a busted trophy and a handshake" is all he recieved. That all changed in 1969 as two new developments were announced. 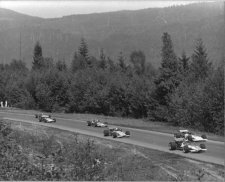 The first was that the Canadian Championship would be contested by Formula "A" cars. The second development was that, for the first time, there would be prize money with Gulf Canada being the title sponsor of the series. Each event would have $1500 in prize money and there was a year-end points fund of about $45,000. By 1969 Formula "A" was a formula that was gaining popularity around the world with separate series in the Unites States, Great Britain, Australia, New Zealand and South Africa. It was also known as F5000. The class was created in 1965 by the Sports Car Club of America (SCCA) along with two other new formula: Formula "B" and Formula "C". The original specs for Formula "A" specified 3-litre racing engines. The specs for Formula "A" matched those of Formula 1. Formula "B" allowed up to 1.6 litre stock block engines and Formula "C" for 1.1 litre engines. Formulas "B" and "C" started to gain popularity but there were very few Formula "A" cars in 1965 - 1966. A professional series for the new Formulae began in the USA in 1967 with the announcement of the 5-race SCCA Grand Prix Championship. Few Formula "A" cars appeared and the series was dominated by the lighter, faster Formula "B" cars. 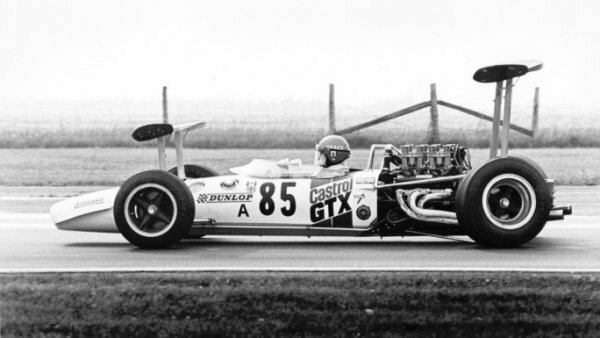 The breakthrough for Formula "A" came in 1968 when the SCCA allowed production-based, pushrod engines of up to 5 litres. This allowed the popular 305 cubic inch North American engines to be used. The change in engine spec grabbed the interest of the chassis manufacturers and specially-built Formula "A" chassis began to appear. 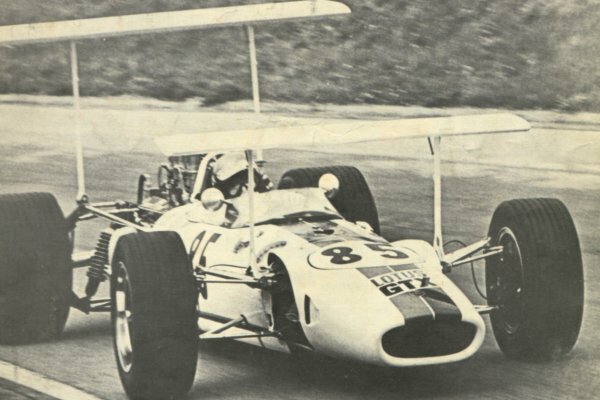 The SCCA Professional series visited Mosport in 1968 with American Lou Sell taking the victory in his Eagle-Chevrolet. That race also included Canadians Al Pease and Bill Brack in Formula "A". The Formula "B" class included several more Canadians: Peter Broeker, Don Merriman, Brian Robertson, Brian MacDonald, Max Castleberg, John Jachtschute, Fritz Hochreuter, Eligio Sicconolfi and Gerald Sellier. With the world-wide expansion of Formula "A", CASC decided that it made sense that Canada join in. There was some considerable debate about this decision within the Canadian racing community as many people felt that Formula "B" was the better way to go. The decision was made to go with Formula "A", but the fields would also include cars in the Formula "B" and Formula "C" classes. The first event of the Gulf Canada Series for the Canadian Road Racing Championship was scheduled for May 18 at Mosport Park. Bill Brack's engined seized during qualifying on Friday, forcing his team to pull an all-nighter installing a new one. Brack's car arrived back at the track just as the cars were assembling on the mock grid. Over 4,500 fans showed up in very rainy conditions for that first race. George Eaton jumped out into the early lead but spun in Moss Corner (corner 5) and Bill Brack slipped past to take a 25 second lead. Eppie Weitzes had a broken rear wing, forcing him to pit to have it removed. Without the wing he was not competitive. George Eaton charged back through the field and taking advantage of Brack's faltering engine, caught the leader on lap 25 and passed him to retake the lead. Tony Simms lost a wheel on lap 32 and crashed hard causing considerable damage to his car; fortunately he was not hurt. Eaton led until the last lap when he spun again in Moss corner. Once again, Bill Brack slipped past and this time took the win over Eaton by 7 seconds. Al Pease came home in third. The series moved on to Le Circuit Mont-Tremblant in Quebec for the next round on May 25. The race was dominated by George Eaton who led every lap of the 40 lap race and lapped the entire field. Eppie Weitzes had the same rear wing failure as in round 1 and dropped out of contention. Eaton's nemesis from Mosport, Bill Brack, had engine trouble and retired on lap 23. Horst Kroll finished second. During the four week break in the series the drivers kept busy. Eppie Weitzes obtained a new wing to try prevent further problems. 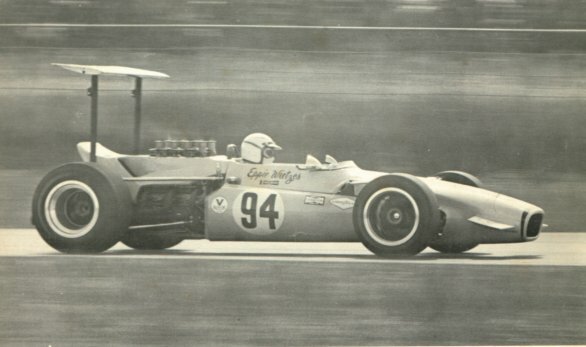 Bill Brack damaged his car while practicing for an SCCA Continental Formula "A" race in Colorado. The damage necissitated a trip to Indianapolis for the Lotus staff to assess and repair the damage. Al Pease sent his car to a specialty shop in California to have a new wing fitted and to have some handling adjustments made. The Gulf Canada Series took a west coast swing for the next three races starting at Speedway Park in Edmonton (track also known as Edmonton International Raceway) on June 22. Only three Formula "A" cars started this race. Al Pease would have been the fourth but his engine developed an oil leak during the warm-up and he withdrew the car. 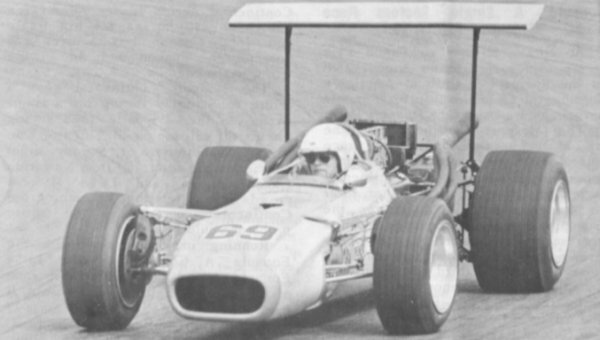 George Eaton had withdrawn from the series to focus his efforts on the SCCA Continental Formula "A" series. Weitzes solved his rear wing woes and dominated the weekend by being fastest qualifier and leading the entire race. He finished 59 seconds ahead of second place finisher Horst Kroll and more than a lap ahead of Bill Brack. Round 4 was held at the Westwood Racing Circuit in Conquitlam, British Columbia on June 29. Again Eppie Weitzes dominated by leading from start to finish. Bill Brack, dropped out the race with a broken rocker arm. Horst Kroll finished second, 90 seconds behind Weitzes. About 11,500 fans were on hand at Westwood to watch the 56 lap race. MacDonald Airport in Manitoba was the location for Round 5 on July 13. Horst Kroll was the fastest qualifier and jumped out to into the lead on lap 1. Eppie Weitzes passed him on lap 2 and led the rest of the way. Kroll stayed in second. The Gulf Canada Series moved back east for the remaining four races. On August 17 the Series visited the airfield circuit at Harewood Acres near Jarvis, Ontario. Crashes and bad luck took out many of the top contenders. Horst Kroll and Al Pease had a huge crash while battling for second place. Pease's car was launched over Kroll's, ripping off a wheel and damaging the suspension on Pease's car. Pease was out but Kroll managed to drive back to the pits for repairs. The lengthly stop to fix suspension pieces put him out contention. By now, more Formula "A" cars had appeared on the grid. Brian Weightman, Nat Adams and Alfred Ruys de Perez had joined the series, all driving Canadian-built Chinooks. Unfortunately, all dropped out with mechanical problems. Eppie Weitzes lost a wheel near the half-way mark and did not finish. These retirements allowed Bill Brack to build up a 3 lap lead. On the lap 54 of the 55 lap race a suspension arm snapped on Brack's car. Brack continued on in the race with one wheel inoperable. The attrition had allowed the Formula "B" car of David Ogilvy to move into second place and Kroll had worked his way back to third. Brack's last lap was at a 30 mph average snail's pace compared to earlier laps that averaged 108 mph. Ogilvy and Kroll passed him twice but did not have time to make up the last lap. Brack limped his car across the finish line to victory, cheered on by the approximately 4,000 in attendance. The points battle had tightened up after the Harewood race. Points leader Eppie Weitzes had his lead cut to only 1 point over second place Horst Kroll. Brack's win moved him into third in the points. The top 4 in points were Eppie Weitzes, 31; Horst Kroll, 30; Bill Brack, 22; George Eaton, 15. There were more developments in the weeks between the Harewood race and the next at Trois-Rivieres. Bill Brack badly damaged his Lotus GTX at Lime Rock, Connecticut in an SCCA Continental Formula "A" race. The car would take six weeks to repair which was past the end of the season. Meanwhile, Al Pease had run into sponsor problems and had his car for sale. Brack took the opportunity and made a deal to rent Pease's car for the remainder of the season. On September 14, the Gulf Canada Series travelled to the street circuit in Trois-Rivieres, Quebec for Round 7. Eppie Weitzes had a trouble-filled weekend starting with practice on Saturday. While setting fastest laps in practice, the car's drive shaft broke. His crew worked overnight, getting it ready for morning. In Sunday morning practice he broke the gear shift. Again, the crew went to work and had his Lola T142 ready for the race. The 18,500 fans in attendance saw pole-sitter Horst Kroll jump out into the early lead. Unfortunately, it didn't last long as he slid off the track on the first lap and into a steel barrier heavily damaging the left side of his car. Bill Brack took adavantage of Kroll's accident and took over the lead. Weitzes' bad luck continued as his fan belt came loose and caused the engine to over-heat. Brack continued to lead until he was taken out by a broken suspension on lap 52. This handed the lead to American Rex Ramsey who led the rest of the way to win the 60 lap race. Don Merriman in a Formula "B" finished second. The race featured heavy attrition as only 11 of the 27 starters finished the race. The Series moved back to Ontario for the final two races. Round 8 was set for a return visit to Harewood Acres on September 28. Pole-sitter Bill Brack took the early lead but spun during the first lap on the straight between turn two and three. Eppie Weitzes and Horst Kroll made it through but Nat Adams and David Ogilvy made contact with Ogilvey's car being launched over Adams'. The crash took out two other cars. No one hit Brack and he was able to get rolling again about 25 seconds behind leader Weitzes. Kroll was running in second when he had to pit for over-heating. By this time Brack had worked his way up to third and with Kroll's problems, he inheireted second place. That was the final finishing order; Weitzes took the win, with Brack second. Kroll had managed to move back up into fifth. Other Formula "A" cars in the field included Brian Weightman and Alfred Ruys de Perez who both were driving Chinooks and both dropped out after hitting hay bales. The other Formula "A" in the field was Tony Simms, who finished seventh after pitting to remove a loose wing. The Formula "B" cars fared well again with Don Merriman and Al Justason finishing third and fourth respectively. The victory increased Weitzes lead in the points battle. He now had 40 points; Kroll was second with 32 points and Brack third with 28. 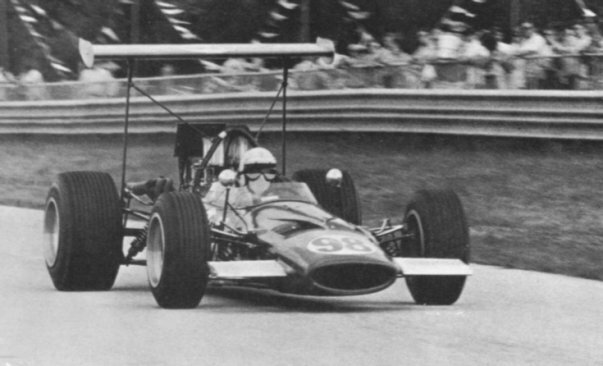 The final race in the 1969 Gulf Canada Series was at Mosport Park on October 14 and was won by Eppie Weitzes. The win gave Weitzes overall victory as points champion in the 1969 Gulf Canada Series for the Canadian Road Racing Championship. 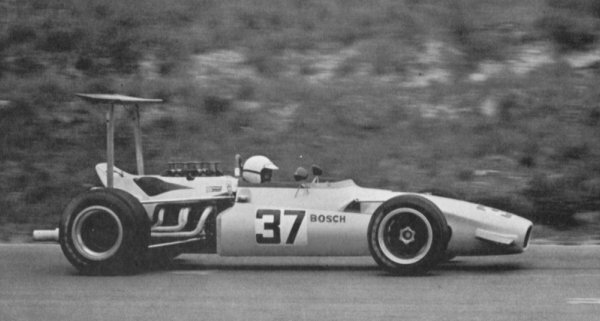 In the off-season, Eppie Wietzes' team, Formula Racing, owned by Jim and Joan Clayton made the decision to switch from a Lola chassis to a McLaren M10B. Weitzes' car was sold to Tony Simms. Simms sold his Kiki to newcomer John Powell. Al Pease was able to sell his car. It was bought by stock car racer Serge Tessilon of Windsor, Ontario who converted it to a supermodified to race at Delaware Speedway. Pease obtained a Brabham-Climax while Bill Brack purchased a new Lola. An important rules change was made over the winter - the high wings would no longer be allowed. 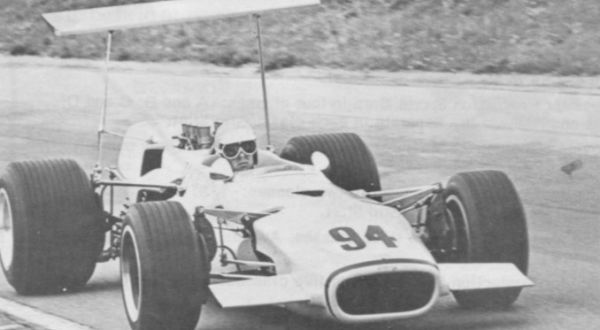 For the 1970 season the cars would use the more traditional, low-mounted wing. About 4000 fans were on hand at Harewood Acres for the opening event of the 1970 Gulf Canada Series on May 10. Eppie Weitzes took the lead on the first corner of the first lap and began building a large lead. By lap 21 of the 105 lap race he had lapped the entire field. Roger McCaig dropped out of the race with engine problems. Bill Brack was sidelined with rear suspension problems while running second. Weitzes finished the race two laps ahead of second place Horst Kroll. Craig Hill in a Formula "B" was third. The series moved on to the Westwood Racing Circuit in Coquitlam, British Columbia for round 2 on May 31. Weitzes dominated again with a one lap victory over Horst Kroll. Bill Brack finished third despite blowing his engine about 200 yards from the finish line and coasting across. The Gulf Canada Series completed its two-race western Canada swing by visiting Edmonton on June 14. Weitzes won again despite changing engines before the race and installing one with 15 hours of running time already on it. Only about 400 spectators were on hand for the race. Horst Kroll missed this event after crashing his car in an SCCA Contintental Formula "A" race at Kent, Washington on June 7. His car was badly damaged after crashing into a sand-filled barrel that was used a course marker. He was hospitalized for 10 days in Seattle with head injuries. In June it was announced that Ludwig Heimrath had purchased George Eaton's McLaren M10A-Chev and would join the Gulf Canada Series. Heimrath, who was Canadian Driving Champion in 1961 and 1964, had spent the 1968 and 1969 seasons racing on the USAC Championship circuit in the United States. Round 4 was at the 2.2 mile circuit at the Rockcliffe Airport near Ottawa on July 1. The event was part of a Canada Day celebration sponsored by the Secretary of State. Admission was free and as such, over 25,000 fans came out for the race. Many of the drivers were critical of the bumpy nature of the track. The event was meant as a test to gauge fan interest in running more events in the future and therefore organizors did not want to spend a lot of money on paving. Horst Kroll was out of the hospital and his car was repaired in time for the Rockcliffe race. Bill Brack did not even take the green flag. He had dry tires mounted and it began raining on the pace lap. He pitted to change to wet tires but the green flag was dropped while in the pits. Brack felt he would be too far behind, so he parked the car. The race was won by Eppie Weitzes, his fourth in a row. The wet conditions saw many drivers spin, including Weitzes. Craig Hill driving a Formula "B" car finished second. Ludwig Heimrath, in his first outing in Formula "A" was third. Horst Kroll was fourth. Round 5 was to be held on August 16 but the date was moved to the 9th so that it would not conflict with the Continental Formula "A" race at Donnybrooke on the same day. Weitzes went into this race, at Harewood Acres, with a commanding lead in the Gulf Canada Series. He had 116 points with second place Peter Broeker far behind with 59 points. Horst Kroll was third with 58 points; Craig Hill at 56 and in fourth was Bill Brack with 39. Ludwig Heimrath was unable to start the race after damaging his car in a crash during practice. Bill Brack took the early lead and battled with Eppie Weitzes until Weitzes retired with overheating problems on the seventh lap. Horst Kroll also had overheating problems and had to slow his pace to keep the engine temperature down. A piston problem took Bill Brack out of the race on the 42nd lap. Brian Weightman, Tony Simms and John Dickinson, drivers of the other Formula "A" cars in the race, also had problems and did not finish. 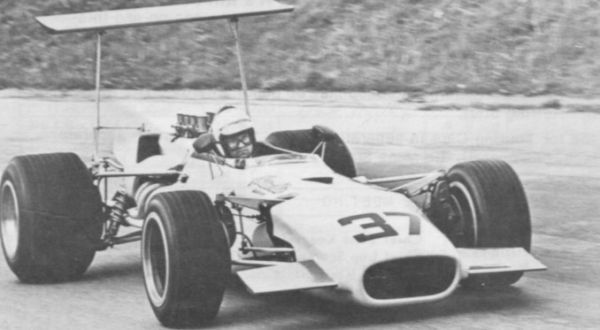 This left Kroll as the only Formula "A" car to finish the race and he took his first Gulf Canada Series victory over Brian Robertson in a Formula "B". In third was Bruce Jenson. The Gulf Canada Series moved to the street circuit at Trois-Rivieres, Quebec on September 6. Eppie Weitzes returned to his old form. He started back in 24th position but had moved to third by the end of the first lap. He passed Bill Brack on the sixth lap to take the lead and went on to win his fifth race of the season. Brack held onto second and Horst Kroll was third. The win gave Weitzes his second consecutive title in the Gulf Canada Series for the Canadian Road Racing Championship. The seventh and final race of the 1970 season was at Mosport on October 11. This time it was Bill Brack's turn to dominate as he took the pole and led from start to finish. Eppie Weitzes had battled with Brack at the beginning of the race but a broken timing chain forced him to retire on the seventh lap. Horst Kroll finished second, over a minute behind Brack. This result gave him enough points to take second place in the Gulf Canada Series championship. The Mosport race was the end of the Gulf Canada Series. 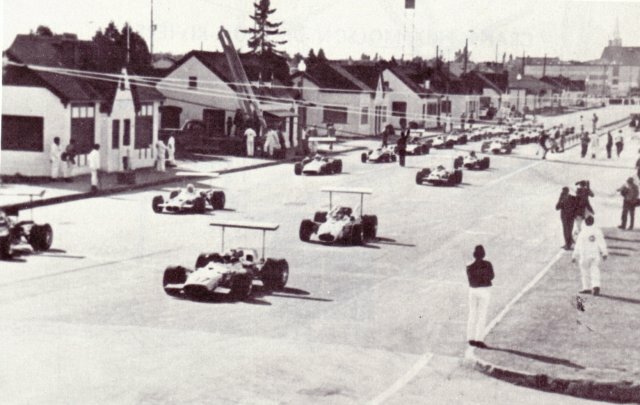 In February of 1971 CASC announced that the Canadian Driving Championship would be contested by Formula "B" cars. The high cost of Formula "A" had kept the car counts low. Player's Tobacco stepped up to replace Gulf Canada as the title sponsor the Canadian Championship. The new series would be called the Player's Challenge Series. Eppie Weitzes, Bill Brack, Al Pease and Horst Kroll all continued to race their Formula "A" machines in the SCCA Contintental Series.